“Suggestion Box”: a nice feature from PaddyPower. But why is it only used in the bingo section? 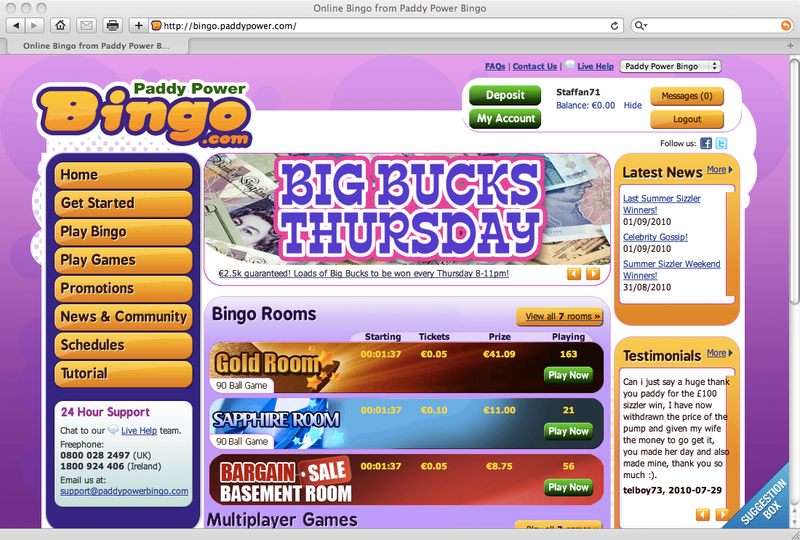 “Suggestion Box” is a nice feature that PaddyPower has in their bingo section. It is just like a small banner in the bottom right corner, and when a player clicks on it a new window opens up where players can give feedback to PaddyPower regarding the bingo. This is a very simple and cheap way to communicate with your players, and by calling it a “Suggestion Box” the players don’t expect it to be any kind of fast support when you run into problems. It is a nice feature that should be used in more sections on PaddyPower.com! I got a message on Twitter from PaddyPower, and it looks like PaddyPower is already adding the functionality to other parts of their site. Good job! © 2018 UXiGaming. All Rights Reserved.